The St. Louis Regional Chamber announced that Southern Illinois University Edwardsville’s iCARE program is a finalist in the sixth annual Arcus Awards Ameren Corporate Citizenship Award category. The award is for enhancing the quality of life and making positive changes that impact St. Louisans across the social, cultural and economic spectrum through philanthropic giving, community involvement by employees, and/or partnerships with state and local governments. “Being an Arcus Award finalist is incredibly exciting and gives us a powerful platform to continue to raise awareness surrounding suicide prevention,” Gable said. “During the past three years, it has been phenomenal to see the student interest and investment in iCARE. It is truly a gift to see students promoting mental health wellness among each other. The winners will be announced at the Thursday, Feb. 28 from 5-9 p.m. at the Hyatt Regency at the Arch. 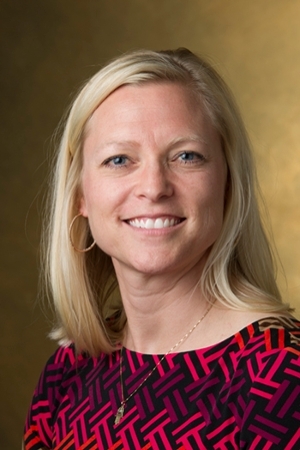 Photo: Kelly Gable, PharmD, associate professor of pharmacy practice in the SIUE School of Pharmacy.